India runs on chai just as America runs on Dunkin, which incidentally also has a Dunkin Chai to offer in India. Who would have thought a few years ago that a chai café revolution was in the making with organized retail shops like Chai Point, Chaayos, Chai Thela, Tea Trails, Coffee Café Day, etc. now dotting the landscapes of Indian cities and towns. 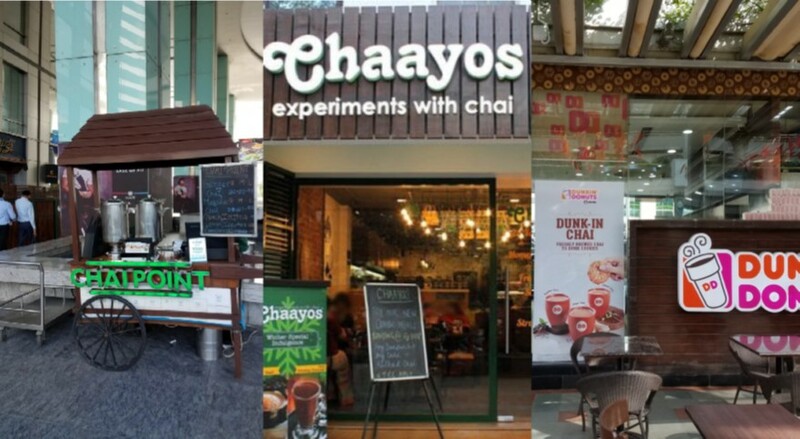 Not only are these retailers catering to consumers directly through kiosks, chai cafés and carts, but they also compete in the B2B market, aiming to grab a share of the corporate consumer by delivering tea dispensers of pre-made tea, from masala chai to God’s chai produced by highly mechanized operations employing state-of-the-art technologies. The new chai culture of 1.3 billion Indians is only a microcosm of revolutionary changes taking place in every other facet of an Indian consumer’s life- food, fashion, media, entertainment, health care, financial services and more. Arriving fresh from a multi-city research and due diligence trip across Asia, including India, we are replete with anecdotes that all point to things happening of giant proportions beyond what one can hope to capture through just a basket of listed Indian stocks-actively or passively. Underlying most themes is inexpensive mobile penetration (courtesy Reliance Jio) through smartphones that provides access to customers. Also, well-networked businesses on smartphone-based apps can now reach out to the masses to build high volumes compensating for small margins as average annual online spend by Indian consumers remains low (~$200 on average vs. $1800 China, $2000 US) and constitutes ~ 15% of private consumption per capita compared to 55% in China (Source: Redseer Consulting). Smart-enabled technology also allows broader financial inclusion by providing easier consumer credit as observed with a growing class of retail lenders in India with strong risk management practices in place. With the introduction of Experian, Equifax, Mark and TransUnion (that runs Credit Information Bureau India Limited), consumer credit risk is more assessable now. Starting form a low base (India’s household credit to GP at ~10% is approx. one fourth of China) consumer credit has a long runway expected to grow to $1.3 trillion by 2025 led by millions of aspiring consumers. Consumer spending through credit cards rose 31% year on year in July and personal loans were up 21% (Source: RBI). Retail lending franchises might make interesting stock stories, but overall growth of consumer credit foreshadows securitization in due course, offering yet another attractive opportunity to the alternative EM investor. Tapping into these are home grown venture capitalists (a maze that ÊMA has navigated well thus gaining a good understanding) many with pedigrees from the Valley, who chose to return home in 2005-2008 and are now leading India’s third generation of VCs. Fueling their efforts is local capital available from institutions like SIDBI as well as domestic family offices reducing the urgency of VCs to seek overseas capital for their immediate needs though the likes of Tiger Global and Fidelity’s venture arm have already made inroads. Ironically, the animal spirits in venture capital is driven by the pace of innovation more than a demonstrable track-record of exits, which in recent times boasts of three prominent ones, namely, Flipkart (to Walmart), Ola and Paytm (to Softbank). As the funnel of opportunities keeps getting wider, it bodes well for more strategic exits to the likes of China’s Alibaba, Tencent, Softbank, etc. as well as through IPOs and a secondaries market that seem emerging on the horizon. While consumer is the big driving theme, disruptive technologies like AI, IoT are other areas that are experiencing a lot of innovation. For perspective, US venture capital investments grew 160% in the last 8 years during which time venture capital investment in the rest of the world grew more than twice as fast, led by China and India (“Rise of the Global Startup City: The New Map of Entrepreneurship and Venture Capital”, by Mr. Florida University of Toronto and Mr. Hathaway senior fellow at the Brookings Institution). The euphoria in private markets finds an echo also in public markets that are experiencing an influx of domestic savings redirected from gold and real estate in the aftermath of demonetization. Systematic Investment Plans (SIPs) have grown eight-fold in the past four years attracting increasing flows of retail investments of ~$1 billion/month (~50% increase year on year) into mutual funds (to the benefit of a proliferating wealth/asset management industry) offering a good offset to flighty FII flows. Besides, Indian markets have come of age to allow hedging through single stock futures– not widely understood nor the shorting skill very rampant as most Indian managers have origins in the mutual fund world. For those handful of local GPs who know the craft in terms of the large cap universe with corresponding single stock futures (~200), and the level of open interest that guides a shorting discipline, it proves a powerful tool to put on both alpha shorts and dampen volatility (quite warranted in the ensuing climate) thus providing better risk-adjusted returns. Supplemented with index shorts, a hedged approach to Indian equities disproves the notion that plain longs in large cap names or timing Indian beta is the only way to invest into India. To add, managers also factor in potential INR depreciation to produce attractive risk-adjusted dollar returns. For those willing to take on modest illiquidity of small caps and mid cap stocks (thus outside the purview of most traditional managers) in longer-dated vehicles that afford a longer time horizon, there are niche opportunities growing at 20-30% CAGR with wide economic moats. Also, being outside the major indexes these names are less vulnerable to FII flows and more correlated to the domestic growth story. Expanding the public markets opportunity set, our visit coincided with the launch of India’s first and Asia’s biggest REIT ~$700m capitalizing on the growth of Indian commercial real estate that is drawing Fortune 500 global tenants like Google, Microsoft, Amazon to India’s services driven economy where vacancy levels are at record lows especially in cities like Bengaluru and Pune. Besides real estate, warehouse and, logistics (e.g. Delhivery, XpressBees, etc.) enjoy natural tailwinds from the rapid growth of ecommerce and with an added impetus from technology it is likely to catapult the sector into a $10 billion market over the next couple years (Source: Avendus Capital). As noted in one of our earlier posts, Infrastructure Investing: Your Lasting Impact on EM and Portfolios, infrastructure with an expanded definition continues to offer a range of investment opportunities into fintech, healthcare, education, etc. These opportunities complement planned capex into an upgrade cycle by corporations. On the other end of the spectrum for alternative investors seeking inefficiency and complexity premiums, the introduction of Insolvency and Bankruptcy Code (IBC) in 2016, provides an interesting opportunity in non-performing assets on the balance sheets of Indian public-sector banks to the tune of ~150 billion. While the IBC asset resolution process is still evolving, astute managers on the ground can bid opportunistically at very attractive entry prices (<20 cents on the dollar) for distressed assets (facing bankruptcy threatening a write off for banks), and then exercise their control to restructure the assets to extract upside generating high teen USD IRRs. The frenetic pace of private and public market activity, suggests that investors need to wake up and smell the chai to invest into EM and for that matter India. The EM investing culture that has long prevailed has been one focused on making macro calls on the state of the economy and buying bellwether stocks hoping to capture what an economy has to offer. Macro mavens that inhabit many traditional investing houses (now trying to redefine themselves) have long lulled their followers into a sense of complacency by dwelling mostly on the relative attractiveness of India vs. Indonesia vs. China vs. South Korea and so on. Most big picture calls on India are centered around demographic dividends from a young work force, Modi-fication of India (demonetization, GST reforms etc. ), the twin deficits and rupee, etc., intermittently distracted by events like the recent commercial paper default by IL&FS (and NBFC sell-offs) or a PNB bank scam, etc. Unfortunately, these macro calls merely skim the surface, induce their followers into believing that India is only a beta story while also exposing them to the risks of sell-offs when macro calls are either mis-timed or fall prey to EM contagion as experienced recently. It’s high time that investors let IN on INdia and made the right call! Yes, politics looms large in the background with general elections on deck for 2019. Depreciation as high as 14% for the INR this year continues to rear its ugly head even when local growth remains strong. Pollution is stifling, “transaction-costs” remain a way of life, traffic jams are debilitating and inconveniences widespread. But aspirations reign high of the teeming millions striving for a better India, a modern India. For investors, it is a wake-up call to profit from the making of a new India by rolling up their sleeves and diligencing below-the-radar niche opportunities (outside the purview of both traditional and mega alternative funds) with longer-term payoffs. ÊMA continues to remain responsive to investors’ ongoing search for growth and is conducting independent investment audit on various India-focused alternative strategies designed to capitalize on the making of a new India, to the benefit LPs’ portfolios. Stay tuned.